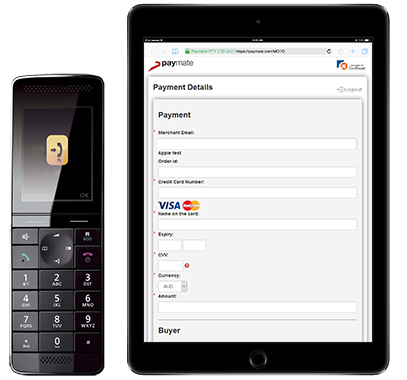 The Secure Virtual Terminal payment page scales perfectly to any device that can access a web browser….computers, tablets and phones. Never miss a sale again. 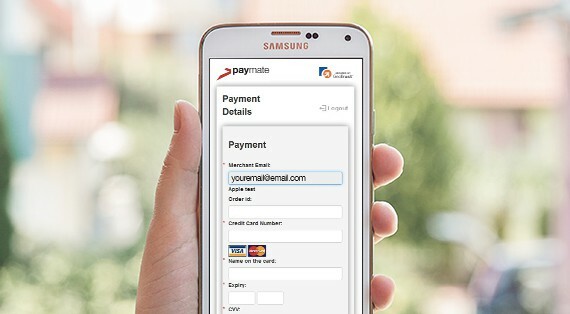 The Paymate Virtual Terminal is a secure online portal where you can easily and securely process payments through any device that has an internet connection, wherever you may be! The Virtual Terminal is designed for Mail Order / Telephone Order (MOTO) businesses, but in fact is ideal for any merchant that needs to securely process ad-hoc payments. With no development or Integration required, It is a great, cost effective way of accepting payments and allows you to stay in control of which orders you accept and when you accept them. Our PCI compliant, SSL protected payment portal is fully responsive, meaning it scales perfectly to any device, whether it be a computer, tablet or smartphone. Turn your existing smartphone or tablet into a portable credit card processing device, with the need for any additional hardware. Payments are screened by our anti-fraud engine and unless suspicious or high value, generally approved on the spot. Simple Pricing...the way it should be! Foreign currency payments incur an additional 2.75% (inc GST) We convert the funds into $AUD and pay them into your bank account as with standard $AUD transactions. Not available for New Zealand merchants. Domestic payment refunds incur a $0.30 Admin & processing fee. In the case of foreign currency payments, the amount of any refund will generally differ from the original payment amount. As the foreign exchange conversion rate fluctuates constantly, the rate applied at the time of a refund will generally be different to the rate applied at the time of the original payment.